I just heard an interview this morning on NPR with a tech startup leader who said, “Data just sits there. We want people who can tell stories. Humans are story-driven creatures.” To me this statement cuts to the heart of the UX (user experience) vs. UI (user interface) debate. Some would say that the distinction is purely academic. I argue that it is very much not. 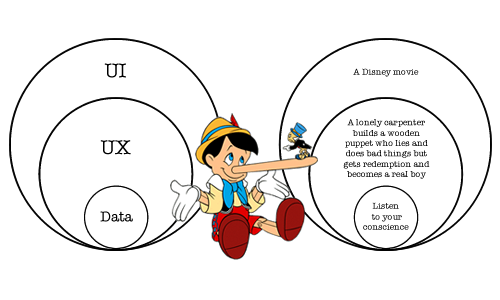 People have their own definitions, but here is mine: UX is your data telling a story. UI is the movie.